Review: OjO E-Scooter vs Moped for Adults, Which One Works Better? When it comes to smaller, convenient forms of transportation, there’s certainly a lot on the market, which can understandably get confusing for many people. There are regular bicycles, electric bicycles, regular scooters, electric scooters, mopeds…ugh! As your providers of adult electric scooters, we at OjO Electric want to try to help clarify this confusion a bit. First, we’d like to go over what mopeds are and how they compare to adult electric scooters – and specifically, our OjO scooters. Upon first glance, many people actually think that electric mopeds and electric scooters are one in the same. However, looks can deceive as there are a handful of differences between the two. ‘Moped’ is an amalgamation of the words ‘motorized’ and ‘pedal’. Mopeds have two pedals that adult electric scooters don’t. This allows a moped to be operated manually by physically pedaling it like a regular bike while e-scooters rely on their engines. The engine capacity of a moped is designed for a slower pace when compared to scooters. It’s not just slower than an electric scooter though – it’s not as good at covering longer distances as well. You’ll be able to either stand or sit on an OjO while you can only sit on a moped. OjO Commuter Scooters are powered by electricity through an easy-to-use 110 volt plug that’s inserted into a standard wall outlet. 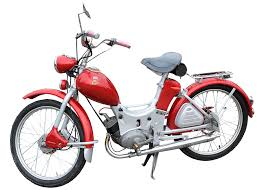 Most mopeds are gas guzzlers, which can contribute toward climate change and are not emission free. While Mopeds can often travel on street bike lanes, they cannot travel on sidewalks and park in bicycle areas. An electric scooter, like the OjO, can travel on bike lanes and paths and park in bicycle areas. The OjO Commuter Scooter has a comfortable, ergonomic design that typically isn’t matched by mopeds. Our OjO Commuter Scooter offers an onboard touch screen along with Bluetooth speakers and is the most techy electric scooter on the market; mopeds usually don’t offer these tech features. Contact Your Provider of Adult Electric Scooters! If you have any questions for us, please don’t hesitate to contact us online or by phone at (877) 557-1053 and let us know. If you’re interested in one of our e-scooters, you can buy an OjO off of our website. We hope to hear from you soon!